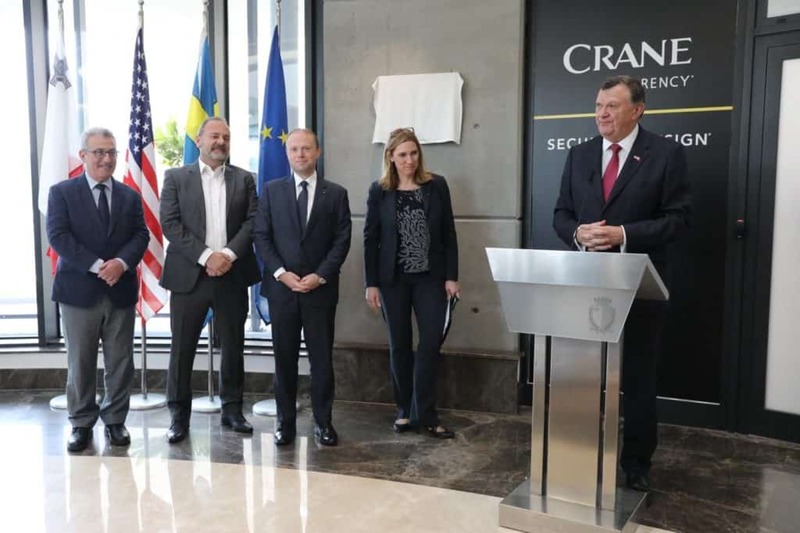 HCrane Currency, a Crane Co. company and a fully integrated supplier of secure, durable and well-designed banknotes for central banks all over the world, inaugurated and blessed its Malta facility and Customer Experience Centre through an official unveiling of a plaque at the same facility. The Prime Minister of Malta, Hon. 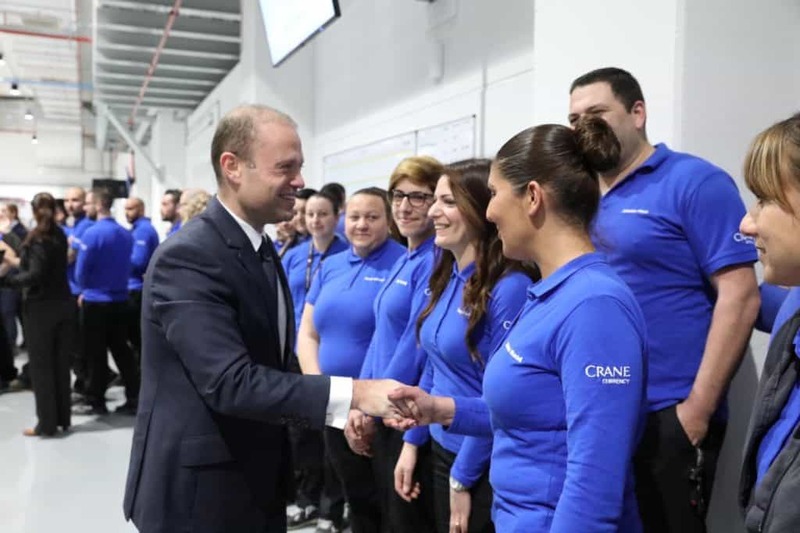 Dr. Joseph Muscat officially unveiled a plaque at Crane Currency Malta, together with Ms Annemarie Watson, President, Crane Currency. 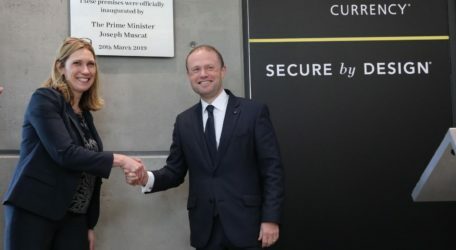 During his speech at the event, the Prime Minister of Malta said, “This Customer Experience Centre is opening a window onto your work as a Currency Printing facility. This is not just a sign of a company that is confident about the product it is offering, but that it is also proud of its achievements and all that it stands for. It shows also that there is indeed pride into your Malta facility. It is no small gesture that you are inviting your prestigious clientele to visit you here in Malta. It is with a sense humbleness that I thank Crane Currency for believing in our country so much”. The Hal Far facility, which features the industry’s most modern equipment, capable of producing the latest security feature enhancements and production efficiencies, has a footprint of around 14,000 square meters and is designed for optimum workflow for state-of-the-art performance in efficiency, quality, safety and security. 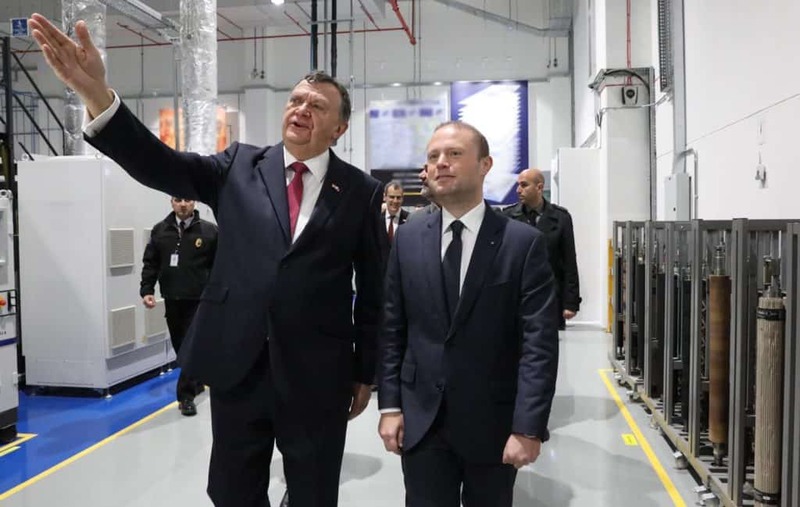 The new Customer Experience Centre, inaugurated during the event will further deepen the company’s customer relationships in Malta by engaging them in the banknote design and production process, an exciting way for central banks to develop banknotes of the future. It is here a combination of industry-leading equipment, design expertise and the latest security technology is showcased in an environment designed to inspire learning and action. 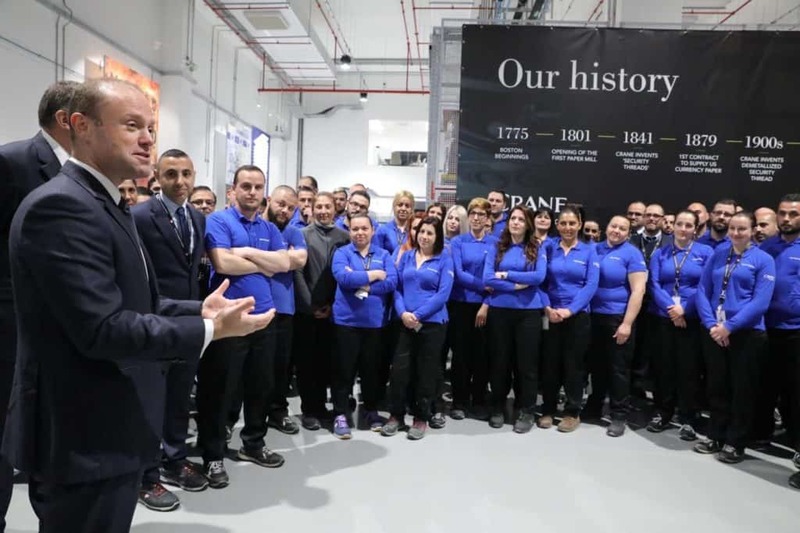 The Centre provides interactive demonstrations that present Crane Currency’s innovative and world-leading technology for banknotes, including security features of today and tomorrow along with areas to explore how to optimize the design of banknotes for the public and the machines. The inauguration precedes an event organised for customers which extended Crane’s reputation of expertise and value, whilst adding engagement through the Customer Experience Centre; showcasing the company’s commitment to meeting and anticipating the needs of central banks around the world. Crane Currency’s micro-optic technology provides a dynamic, state-of-the-art security feature to prevent counterfeiting. These security features have been specified in over 125 banknotes. Founded in 1801,the company has been continuously supplying paper and security services to the US Government for over 140 years.